We are back from the Red Rock Lavender Festival, having met some wonderful people and loving the lavender scents for 4 days. While we were there, we picked up some Herbes de Provence and Herbes de Concho that are made at Red Rock Ranch. The high altitude, sparse soil and dry Mediterranean climate play a major part in the intensity of the scent and flavor of the lavender in their Herbes mix. The amazing thing about Herbes de Provence is the adaptability of the mixture in so many culinary applications- from grilled, roasted or baked meats, to stews, soups and grilled or roasted vegetables, Herbes de Provence adds a depth of flavor and aroma that is unique and heady. Another interesting thing is the broad spectrum of ingredients that make up the Herbes mixture. 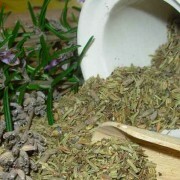 The basic and classic mixture is equal parts dried Oregano, Thyme, Summer Savory and Lavender buds, mixed well. 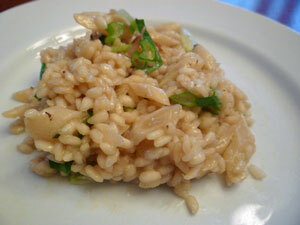 From this basis several other recipes have evolved, with both individual and regional preferences showing up. Many of the mixtures involve classical, foundation spices that are used in French and classical European cuisines. Some will argue that the essential ingredient is Lavender, while others will say that it’s exclusion does not lessen the mixture, and even enhances it in certain dishes. I’m not going to get into that argument, but will say that the Provence region is world famous for its Lavender, thus its inclusion into the Herbes de Provence. 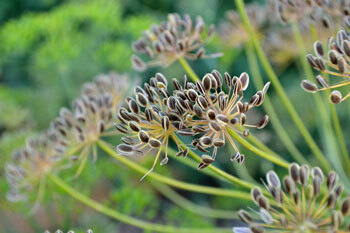 This is the time of year to start selecting, harvesting and drying your garden herbs for the coming year. Rosemary has starting blooming and is incredibly fragrant now, as is Sage, Oregano, Basil, Thyme and almost all of the culinary herbs. 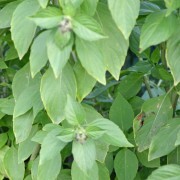 Selecting the best leaves from the herbs and drying them in small batches starting now gives you plenty of time to accumulate the volume of dried herbs needed to not only have enough for general cooking, but will give you enough to make some mixtures that use foundational herbs without depleting your stocks. Starting now also gives you the time to do smaller batches, being more selective in quality instead of having to just pick what is available to do a large, rushed batch later in the Fall as the weather starts shutting the garden down. Ask me how I know… Plus it’s wonderful to improvise tonights dinner from the herbs and vegetables picked today from your garden! The following recipes should be considered a starting point, not the definitive, final recipe. Use your tastes and flavor combination preferences as a guide, and adjust amount and types of herbs accordingly. How else do you think that so many variations on the theme evolved? I will share several other recipes for the mixture below, as well as some ideas for using them. Dried herbs are important, as fresh herbs will lose their flavor in about 20 minutes of cooking. Mix well and store in an air tight container. Keeps for 3-6 months, depending on humidity and temperature. 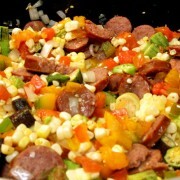 You can crush the mix prior to adding it to olive oil for a marinade or dressing. 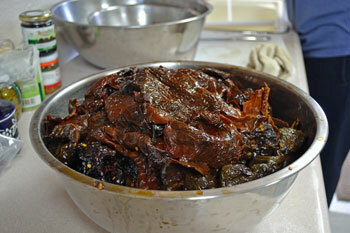 Add in crushed dried red chiles for a new taste dimension. Mix with homemade mayonnaise for a real taste treat. Mix lean hamburger meat with high quality Bleu cheese at a ratio of 3/4 meat to 1/4 cheese. Form into patties, dust liberally with Herbes de Provence mixture that has been crushed with fresh ground black pepper and salt, let sit for 20 minutes and grill till done. Make sure to make extras! The flavors will really be enhanced if you use grass fed beef. Mix ingredients well, coat both sides of steaks, let sit covered for 30 minutes to 1 hour. Grill to taste. Optional- make 1/2 recipe extra to top steaks when served. Can add sprinkle of Gorgonzola cheese to top of hot steak as well. Mix Herbes with butter and garlic. For more garlic flavor- use more cloves. Optional- roast the peeled garlic cloves prior to mincing for a richer, mellower flavor. Lightly spread butter on both sides of thickly sliced bread, bake in 400F oven for 3-5 minutes or until just turning golden brown. Hopefully you can start to see the versatility of the magical Herbes de Provence. You are only limited by your tastes and creativity! This is absolutely fascinating and I appreciate the reminder to get off my duff and start drying herbs. I’m heading for the Farmer’s Market tomorrow to try to find summer savory to make my own Herbes de Provence for Christmas gifts. Love what you are doing. Thanks. Thanks for the comments, glad to give you some ideas! 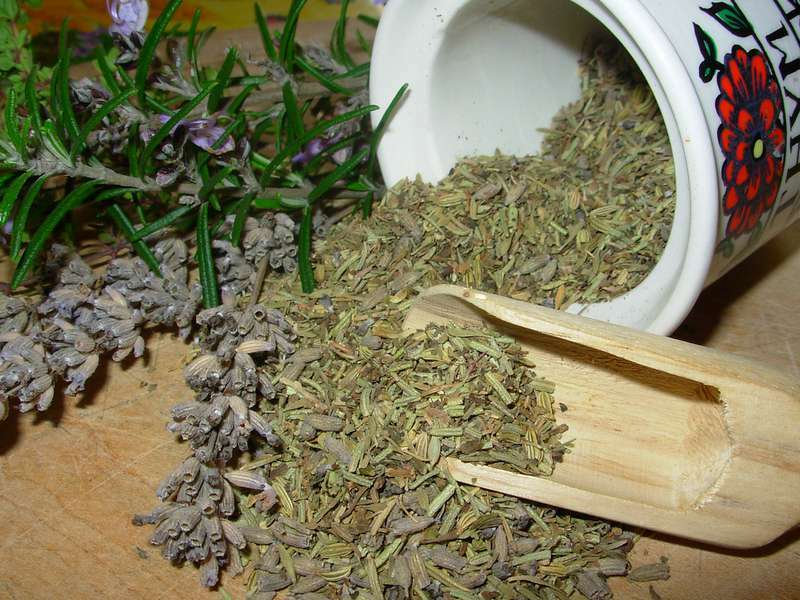 Christmas gifts of the different Herbes de Provence sounds great!